Big Frig Coolers is a new brand; as new as a brand can be. Started in February 2016, their line of Big Frig Denali coolers is making waves in an oft-ignored market: the mom ‘n pop shops of the Midwest where casual soccer moms and campers go to get their coolers. To understand just how much of an impact Big Frig is having on the market, let’s back up a little bit. 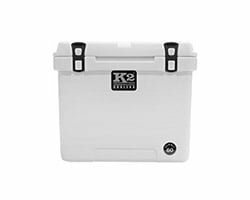 You’ve looked at many of our best cooler reviews and, if you’ve been attentive, you’ll have noticed a common theme. A lot of cooler brands out there are very proud of their prices. I know what you’re thinking: the greatest culprit here must be Yeti, and we agree with you. But it wouldn’t be much of a problem if we only had Yeti to deal with. The problem is that a whole host of other cooler brands have jumped on the bandwagon and now we have this dominant theme of exclusivity and ridiculous prices on the market (nothing easier than checking some coolers like yeti here, or even more alternatives here). Sometimes, I look at the price of a cooler and I think to myself: a beer is a beer. It probably doesn’t make much of a difference how cold that beer is. 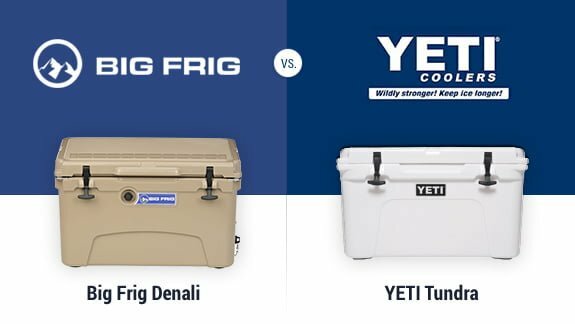 First things first though, so let’s start with a comparison table that shows a lineup of Big Frig’s Denali coolers line, with all the most important pieces of information and prices (we’ll discuss them a bit later). I’ll tell you a little story from a similar market to make you understand. The phone market is like the coolers market in some ways, especially when it comes to pricing. A lot of phones are pretty pricey, starting with the iPhone. Samsung, HTC, Sony, Blackberry; they all lead the exclusivity club and have become some kind of status symbol. The interesting thing is that it doesn’t really cost that much to manufacture a phone. It costs less than $250 to manufacture an iPhone, yet you buy it for $700 or even more. Why the huge markup? As it turns out, most of the cost of an iPhone is in advertising and distribution. Phone companies will allocate a significant part of their budgets to make sure you see their phones everywhere, from YouTube to your favorite movies and music videos. Distribution also costs a lot of money and retailers will inevitably slap their own markup on top of Apple’s markup to make a bit of money themselves. By the time you buy a phone, you feel like you’re spending a small fortune to get a paltry 12 MP camera and a fingerprint sensor. The price isn’t worthy of the features you’re getting on your phone. It just doesn’t add up, does it? So something began to happen on the phone market. Some manufacturers, like Xiaomi, saw a gap they could exploit. They could champion the needs of the ‘little people’; the people who just wanted a good phone and didn’t really care for expensive gadgets. They would manufacture phones with all the features of an iPhone, plus more, and then market them purely online and sell them on their websites or on online stores. That way they could cut back on distribution costs. They also didn’t market as heavily as larger phone brands. They let simple inbound marketing. PPC and good old-fashioned word-of-mouth marketing do the trick. A Xiaomi phone with all the features and quality of an iPhone costs about $250. That’s a significant reduction in price. You may not have heard of any of these phone brands yet (God knows this might be the first time you’re hearing about Xiaomi), but they’re there, and they’re silently taking over the market for the ‘little people’. The coolers market has been in need of a similar revolution for a long time now. Yeti did it first. Brock Hutchison also saw it and he did something about when he founded Big Frig Coolers. But he actually didn’t plan any of it like some grand architect of the business world. He stumbled upon this lucrative gap, almost by accident. It all began when Brock was fulfilling an order by a client from another business of his for 1000 tumblers. He got them from a Chinese manufacturer and they caused such a racket that he soon found himself fielding orders from friends and clients alike. Later he thought he would take the orders, bring in the products then laser his logo on them. He says the name ‘Big Frig’ came when he and his team were trying to come up with suitable names for the brand. He thought the tumblers were big friggin’ cups and a brand name was born, just like that. Big Frig mostly fields large volume orders for schools, fundraisers, workplaces, and the like. 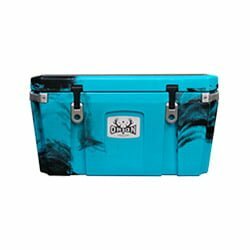 They also do customizations upon request, making their coolers very easy to own and call your own. With most large brands shunning what they consider low volume orders from family-owned retail shops, Big Frig has begun to dominate this market, supplying many small retailers across the Midwest. I don’t know about you, but to me, it reads like one hell of a success story. Okay, now that we’re done gushing over Big Frig’s great breakthrough story, let’s get down to business. Just how good is this cooler? Big Frig Coolers are roto-molded coolers. As you know, we don’t even look at a cooler twice if it isn’t roto-molded. 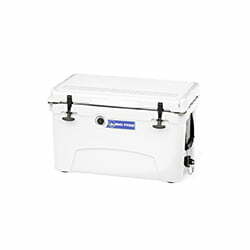 Roto-molded coolers are simply the gold standard for cooler bodies. They are hard, durable, and highly resistant to everything from drops and scratches to UV radiation from exposure to sunlight. 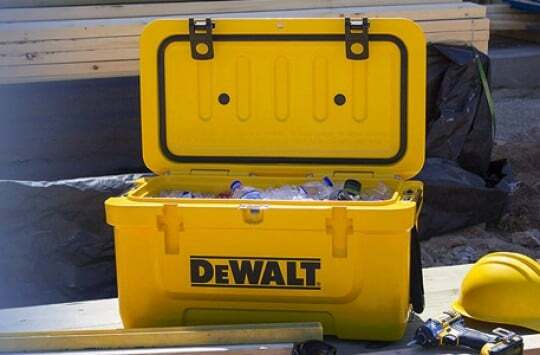 We also love the lid on this cooler. As you know, we’re always intent on the lid. 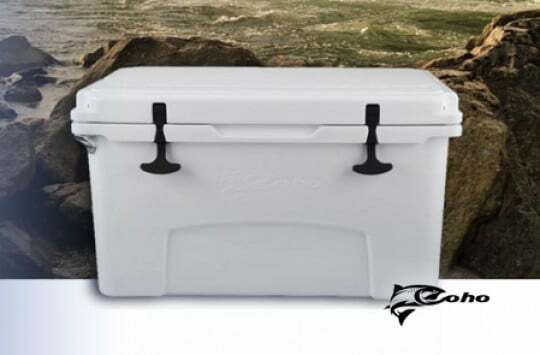 A cooler can have the best foam insulation in the world; A cooler can have ice retention for days; but if that cooler does not have a good lid to match, then it doesn’t really matter. The lid on the Big Frig is strong and slip-resistant (8). It’s a good firm lid with a fish ruler molded (5) onto the top. If you’re out there fishing and you get a big catch, don’t worry; you can measure it on the lid. Little details like these put new brands like Big Frig in our good books because they demonstrate that these guys pay attention to details. The gasket seal (4) on the lid is made of rubber and does a pretty good job of sealing it when you close the lid, making sure no heat gets into your cooler and ruins your opportunity to crack a good one later on. The latches on the lid are rubber T-Rex latches (2). We have a pet peeve with T-Rex latches. Most of them just aren’t as firm as they’re supposed to be. The rubber is too floppy and comes off the hold too easily. 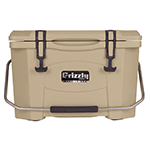 The result is that, after a particularly bumpy ride where your cooler is jostled and turned a good amount, your lid will fly open and spill out the contents of the ice chest all over the back of your truck. 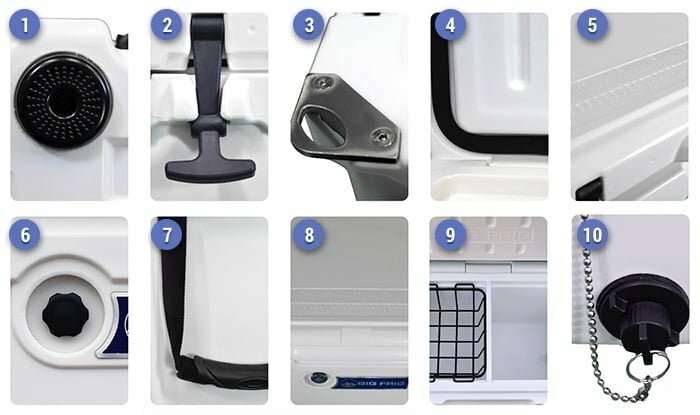 The latches on the Big Frig cooler are pretty firm and take a fair bit of force to pry open, meaning you can trust them to remain closed no matter how bumpy the ride. We have another pet peeve with many cooler brands, also to do with firmness. Nothing vexes the spirit more than having to hold the lid up when you’re rummaging in your cooler for something simply because the thing won’t stay in place. We’ve spotted this problem in some other coolers like and it’s always a breath of fresh air for us when we stumble upon a brand that takes care of the problem. Big Frig is that brand. The lid will stay in position at just about any angle you turn it and stay there as you use both of your hands like you’re supposed to, to look for that extra can of beer deep in the ice. Apart from this, the lid also has tie-downs molded into it, holes where you can fit padlocks for extra security, and integrated bottle openers (3). These may seem like small and inconsequential features, but they matter a great deal to the average cooler user. I know I appreciate them. The handles (7) on this cooler are made out of nylon rope with rubber handles. Rope handles are cool and all, but we’ve had issues with other cooler brands because the handles can be pretty uncomfortable to carry, especially when the load is particularly heavy. 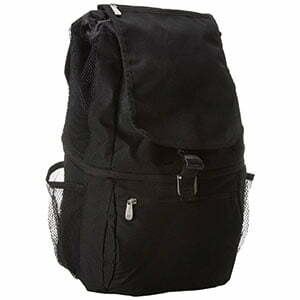 The handle on the Big Frig is perfectly comfortable and easy to carry, which we really appreciate. Picture this: you’ve had a long day and you can’t wait to pour some cold beer down your throat. You head over to your cooler, undo the latches, and try to open it. You notice the lid won’t budge so you apply some more force. It still won’t budge. You keep trying till you begin to understand what it must feel like to try and lift Thor’s hammer when you’re not Thor. Come to think of it, you wouldn’t mid-Thor being around to help you right now. If he can lift that one-tonne hammer he sure as hell should be able to open your cooler lid. The reason this happens is that there’s unequal pressure between the inside and outside of your cooler. The situation won’t typically be as serious as I just described (a hearty pull will usually get the lid open), but it can still be rather annoying. Big Frig coolers have vacuum release button (6) placed on the body, right under the lid, to help with this. When you press the vacuum release button some air is let into the cooler from outside to equalize the pressure and the lid opens effortlessly. And now we get to the drain plug (10), what we consider the greatest win for this cooler. The Big Frig cooler comes with a dual drain plug. You can open the smaller plug when you have small amounts of water in the cooler and you want to empty it out fast at high pressure. Moreover, the plug is threaded, so you can easily attach a garden hose to it. If you want to let out large volumes of water fast, you can open the second drain plug for a much wider hole. Finally, the bottom of the Big Frig cooler has skid-resistant feet (1) to top it off. 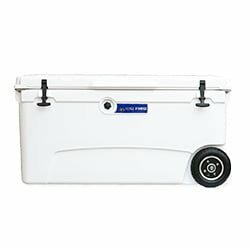 Your cooler will stay put on your truck or boat and you don’t have to worry about it rolling around when the ride gets bumpy. 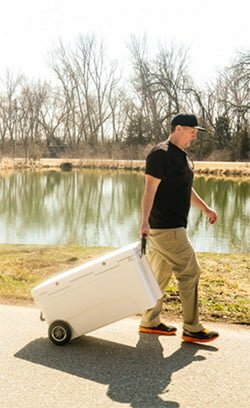 Lastly, Big Frig also went an extra mile by introducing not one but two models with wheels, to make it easy to carry your cooler back and forth. 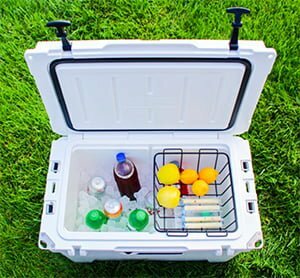 We’re huge fans of wheeled coolers and after reviewing tens of different ice chests we are still surprised why so many companies do not bother with adding wheels to their ice chests. Big Frig, fortunately, isn’t one of them and they added wheels for your rolling pleasure. 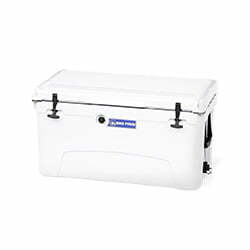 As for the ice retention times, guys at BigFrig claim 5 days for 20-qt smallest option, 7 days for the 45-qt and 10+ days for the bigger sizes. Well, we did what we like to do: we got a Big Frig and tested the ice retention ourselves. 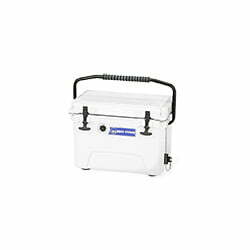 Now, something special about this cooler is that it is dry ice compatible. We love that. If you know how to handle dry ice, and are okay using it, then we’d recommend keeping your drinks cool with that. Unfortunately, this time we couldn’t test the ice retention with dry ice so I can’t tell you for sure how good it is on that front. We did test it with normal ice, though, and it was satisfactory. We threw some beer into the 20-quart cooler, its maximum capacity, added ice, and let it alone. This was on a Friday. There was still unmelted ice in the ice chest by Wednesday of the next week, though minimal. By our measure, we’ll place the ice retention of this cooler at a solid 5 days. That said, we would probably get a better result if we pre-chilled the cooler before placing stuff inside. This time we also didn’t put any ice packs on the top and on a side – something we usually do to increase ice retention times a bit further. As for colors, there is a variety of options to choose from…. some standard colors, camo options, even a pink one. The Warranty on a Big Frig cooler is 5 years. This might seem disappointing, as many coolers – premium ones especially – offers a lifetime guarantee. Perhaps it’s because the Big Frig is still a young company and they outsource their manufacturing to China. With time, we hope their offering and warranty is going to improve. Seeing as Big Frig is a young brand, and appeals to a slightly different kind of market, we’d be unfair to expect it to match up perfectly to the industry giant. 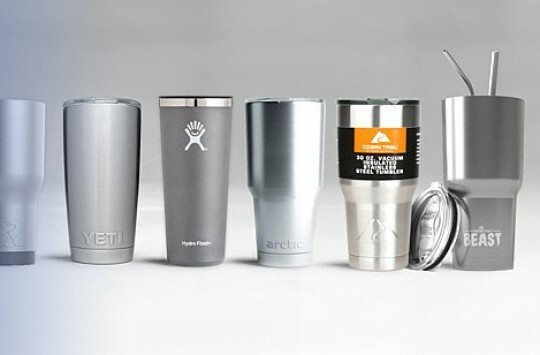 Yeti has more variety, more features, and more accessories. However, Big Frigg does score some wins for itself. They have very good customizability, on the same level as Yeti, they’re dry ice compatible (same as Yeti), and they are affordably priced. There really isn’t much to say here. Big Frig is a great cooler for someone willing to give the underdog a chance and we’re rooting for it all the way. 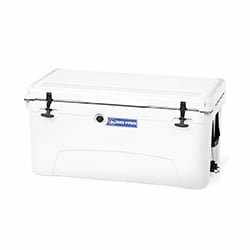 Unless you’re a die-hard Yeti fan, we highly recommend this cooler simply because it’s good enough and doesn’t cost that much. 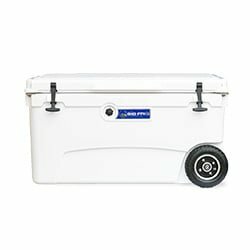 Big Frig coolers can be bought on their website (link) and some other places online. You can also get them at selected retail shops across the country. We, however, recommend making your purchase on Amazon, whenever you can find the product there. Amazon offers some great advantages, such as real customer reviews and easy returns in case something goes wrong. You can also enjoy perks like free shipping if you’re an Amazon Prime member. So there you have it, the newest kid on the block. Big Frig look serious about taking the fight to the big boys. They’ve already got some great products, including hard coolers and tumblers, and have plans to expand their offering in the future. If they keep it up, they really will be a ‘big friggin’ deal’! The newest kid on the block: Big Frig Coolers look serious about taking the fight to the big boys. 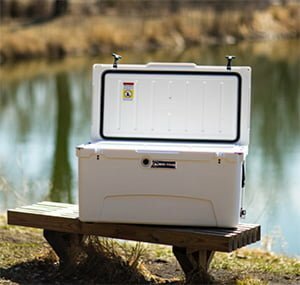 Maybe it doesn’t bring anything revolutionary to the table, but its solid construction, practicality and attractive price point make Big Frig an ice chest that’s definitely worth trying out.